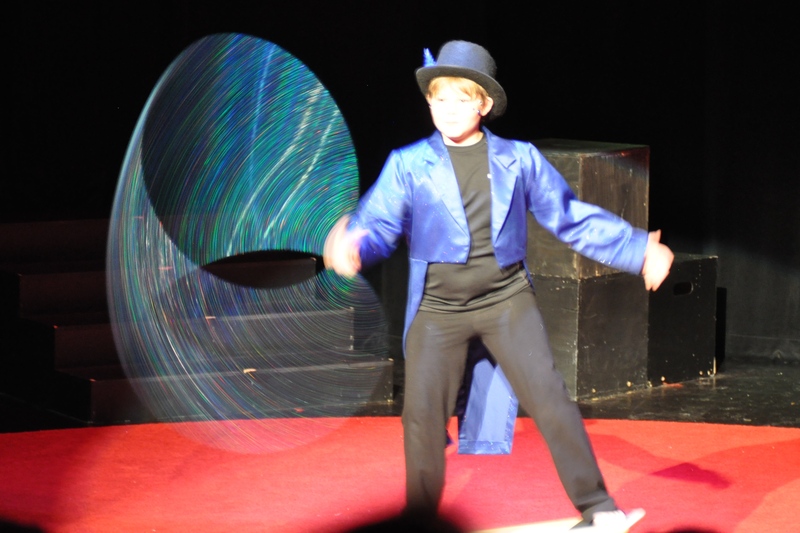 I’ve been taking classes at The Long Star Circus School for two years now. 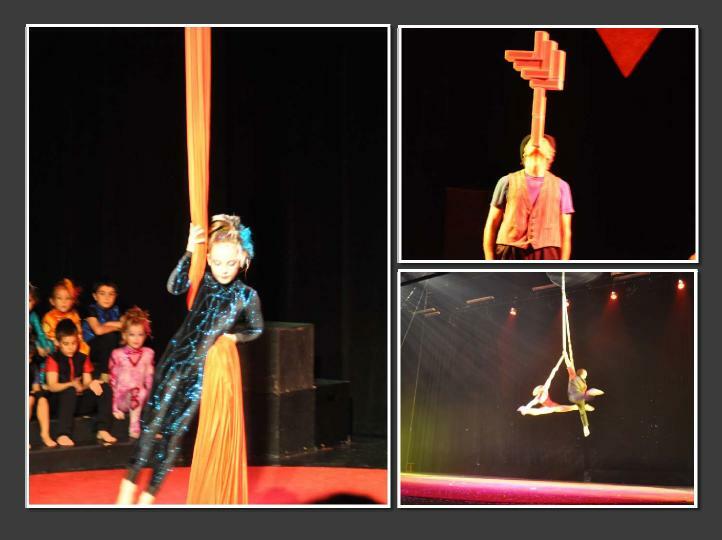 They teach beginner, intermediate, and advanced circus classes for kids and grown ups. We do two big shows every year. One at Christmastime, and one at the end of the school year. This year, our show in May was called Cirque Mon Amour — the music and the show names are always in French, because the school was started by a lady whose family was in the circus in France for 8 generations. The year-end show is usually done on Friday, Saturday, and Sunday, with different performers each day except for a few featured performers who do all three shows. Students from the Dallas International School usually perform on Friday and Saturday, and kids from The Palestra, where I take classes, perform on Sunday. The music is always French, and we wear costumes like old-time French circus performers. 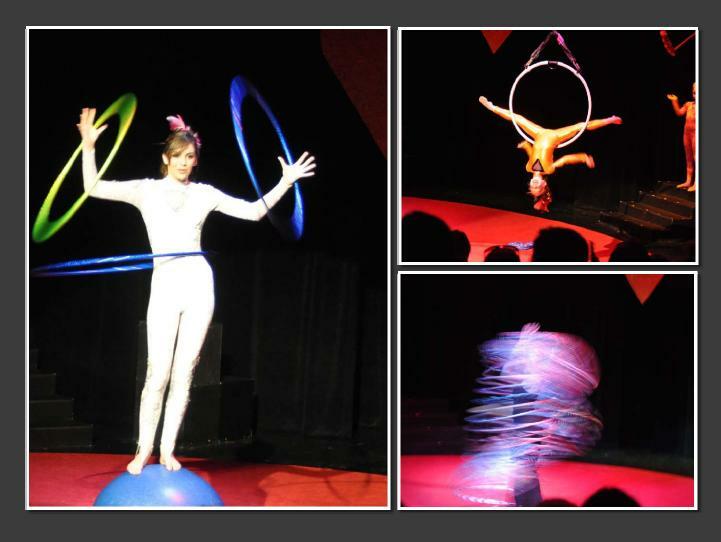 Jessie Patterson was featured with her hula hoop act this year. She is amazing! This was my first year as a featured performer. I was so excited when Fanny Kerwich, the creative director and founder of the Lone Star Circus, picked me! I went to extra classes and rehearsals, and worked really, really hard. 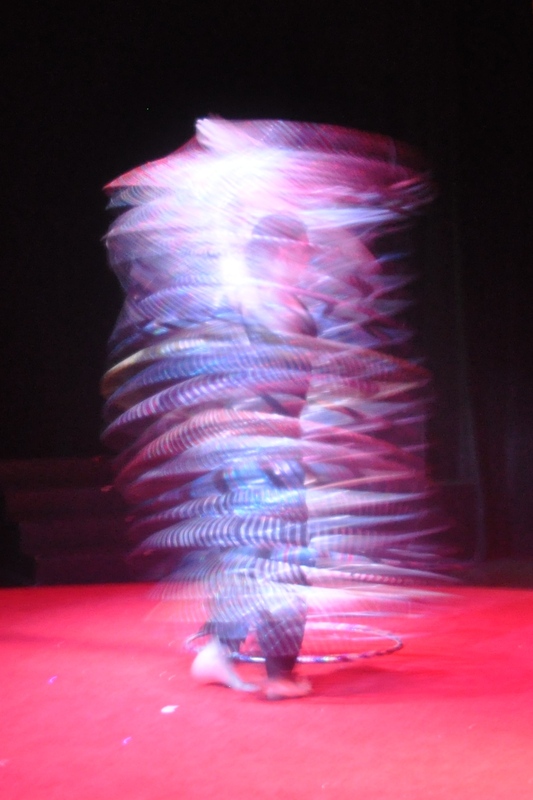 I was supposed to start out juggling on the ground, then jump onto the rolla-bolla, and finally climb the silks, tie my feet so that I could stand up unsupported about 25 feet in the air, and then finish off, juggling up there — then roll down, take my bow, and head off stage. Everything went fine on Friday and Saturday. My whole family — 14 people — had tickets for the Sunday show. I was doing a final run-through about an hour before the show, with my coach Kelly Shea and the director, Fanny Kerwich, when I fell. I don’t know what happened, but I hit the mat hard, flat on my back. I won’t pretend that it didn’t hurt, be cause it did. But the worst thing was that Miss Fanny said I couldn’t get back on the silks. She’s all about safety, and she said my muscles would naturally tense up the next time I climbed the silks, and it just wasn’t safe to do that in a show. So I had to redo my whole routine, in less than an hour. We put in some stuff I hadn’t practiced — like catching the balls in my hat. But the show went on as scheduled, and the audience seemed to like it. Here are some more pictures from the show. Everybody looked so good!